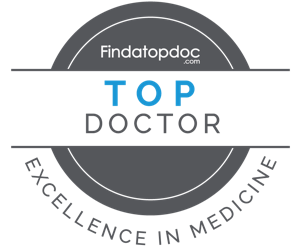 Podiatric Physicians of GA - Your Foot and Ankle Specialist located in Decatur, GA. Have you been experiencing back, leg or shoulder pain lately? Visit our site to schedule your appointment today. We accept all insurance! Dr. Barbara Norvell, DPM and staff at Podiatric Physicians of Georgia are exercised in providing care to patients with varying degrees of foot and ankle conditions. Dr. Norvell and staff regularly offer careful evaluation, diagnosis, and treatment of numerous ailments related to the foot, ankle and lower limbs. Podiatric Physicians of Georgia brings more than 15 years of experience caring for patients in the Atlanta Metro area, specifically Decatur, Tucker, Chamblee, and Dekalb. Podiatric Physicians of Georgia is led by Dr. Barbara Norvell, DPM. Dr. Barbara Norvell is a native of Hillsboro, TX, graduating with honors from Hillsboro High School earning a four-year academic scholarship to Prairie View A&M University. Prior to attending college, Dr. Norvell enlisted in the Army Reserves and served as a Medical Specialist/Psychiatric Specialist. While serving in the military Dr. Norvell received a B.S. in Biology from Prairie View A&M University. Dr. Norvell earned her doctorate at the Ohio College of Podiatric Medicine. Following medical school, she completed a three-year surgical residency at Providence Hospital in Southfield, Michigan. Get useful tips in your inbox. Everyone is entitled to receive exceptional, quality, and compassionate podiatric care like the care we provide at Podiatric Physicians of Georgia.